PRAYER PROMPT ••• Christians often talk about “God’s sense of humor,” leaving non-believers scratching their head. Where are all the jokes in the Bible? But God’s humor and man’s idea of a joke aren’t always on the same page. As I’ve come to grow in my own faith, I see the humorous irony of how God uses certain people and situations and I’m beginning to see the humorous wisdom in them as well. One of the best know examples is David and Goliath. The king’s best warriors couldn’t bring down this giant, but a scrawny teenage boy took him down with a slingshot! This morning, in my Bible study, I read of Gideon’s defeat of the Midianites (Judges 7). God told Gideon to pare down his forces from 32,000 to 300 warriors…. going up against an army 135,000 strong. What on earth??? It doesn’t even seem logical, but we serve a God of miracles, for whom nothing is impossible!!! God wanted the defeat to be so unlikely, no one could take credit for the victory, meaning that the glory would go to Him! Jesus often used humorous illustrations to drive home His points, one of my favorites being, “Why do you see the speck that is in your brother’s eye, but do not notice the log that is in your own eye?” (Matthew 7:3). 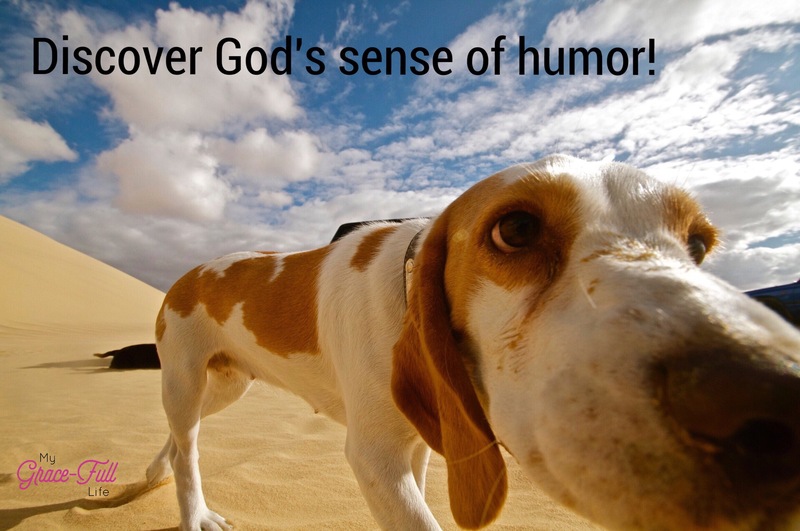 Today, ask God to show us His sense of humor and irony so we can recognize it around us. Because He clearly has humor! Whether its using the least likely among us to accomplish a task, or winning the battle against insurmountable odds… ask God to show you the wise, often humorous, irony in your life. Let go of the world’s idea of a joke, and ask God to instill in you an appreciation for heavenly humor and irony!